We recovered this Lazair III over the winter months. We used 1.7 oz Dacron with Stewart System Cement. Paint is latex house paint (three coats of white primer and two coats of white exterior enamel applied with foam brushes). If anyone is interested in further details let me know. It looks and flies great!! I love to hear of success stories, especially Lazairs. And to see pics, that just does my heart good. Nice Lazair . Looks like you got a little shade in the process! Looks nice and it looks like your are enjoying the heck out of it. I would however suggest a helmet to protect yourself just in case. Nicely done, I really like the Stewart system, latex combination. All water based, no fumes, great. I used Hypec for mine simply because it glues the cloth to the structure and you don't have to mechanically fasten to the ribs. How did you do yours? Rib stitch, other? bdiedenhofen @ May 7 2008, 02:09 PM wrote: Nicely done, I really like the Stewart system, latex combination. All water based, no fumes, great. I used Hypec for mine simply because it glues the cloth to the structure and you don't have to mechanically fasten to the ribs. How did you do yours? Rib stitch, other? We used the Stewart system as it does not attack the Styrofoam ribs. We capped our ribs with 3 inch Dacron finish tape cemented with Echobond over the aluminum cap strips. We then wrapped them with 3 inch finish tape top to bottom in a criss cross fashion and carefully ironed the tape at about 250 degrees to take out any slack. The result is a solid rib with a very good surface to cement the wing cover to the rib and a strong bond between the top wing cover and the bottom cover. Rib stitching was not necessary. This appears to be a very secure and easy way to cover the wing. Time will tell!! The latex house paint was also an inexpensive and easy way to finish the job. It is very flexible, easy to clean, resists oil and gas and was very easy to apply. Finish wise, it does not compare to a good two part aircraft paint but it looks good enough for this old bird. Hypec is a covering process available from Falconar aviation. It's a glue, sealer, and sun barrier,(silver) all in one. I've covered two aircraft using it. Once the fabric is shrunk tight, you brush the stuff on. It soaks through, and bonds to anything underneath. It's very strong, and rib stitching is not necessary. I left my Lazair silver, but painted my other aircraft with latex over top. It's a great finish, and I plan to latex my next project too. I was considering the Stewart adhesive for the next plane because I'm tired of chemical fumes. The Hypec precess sure is nice and simple though. Jerry: I think I like the Hipec system after reading about it, but was very concerned with what to do about the Lazair's ribs. I would bet that if and when you had to recover after using the Hipec system that it would be very difficult to remove the fabric without pulling the ribs apart, although that may be true of most fabric system glues. It doesn't take that much to cause the foam to fail along the glue line to the aluminum caps. I have heard of several people covering Lazairs using Hipec, but not of anyone that's removed it. I like your idea for covering/reinforcing the ribs with the waterbased glue and fabric, although I might just do it with some sort of tape. Still thinking about that. Brian: I have used the Poly-Fiber system. Very expensive, complicated and labor intensive. They demand rib-stitching on all jobs, even slow Ultralights. The Hipec system sounds much simpler, if not a lot cheaper. Have you ever had to do any repairs on a Hipec covered plane? If so, how did it go? I assume that on the Lazair you didn't do the high temp final shrink on the fabric, correct? When you do the final 350 degrees shrink on Ceconite it gets terrifically tight. How did the trailing edge hold up? What procedure did you use to glue the under cambered bottom of the wings? I was thinking of using lots of sandwich size Zip-Lock bags filled with sand to weigh the fabric down while gluing. I've done Mylar and Tedlar jobs, so I'm kind of spoiled. I have a Lazair that is probably a better candidate for a fabric cover this time, but don't want to make it a Poly-Fiber career. I would enjoy hearing you comments. I did do a final shrink, and it was fine. There is some minor scalloping on the trailing edge, not bad though. 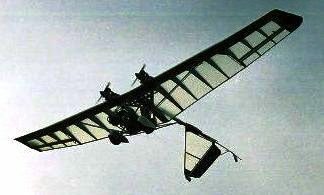 The underside was slightly shrunk, and then weights were placed between the ribs, and the sunbarrier was brushed through to hold the cloth to the ribs. When dry, the weights were removed, and a final shrink was done. It has held to the camber nicely. I was curious as to how well it would hold. When I tightened up at the wing tip, I had to clamp a piece of wood over the top of the wing to get the cloth to contact the last rib. There was a lot of tension on that point. When the Hypec was dry, the wood clamp came off, and the cloth stayed stuck. It's been stuck there for four years now, and holding well. So the stuff works. The only place thats mechanically fastened is the upper curve of the wing tip. The original aluminum cap strip was riveted over the cloth to hold the shape there. My plan for recovering is to cut the cloth away between the panels, leaving strips over each rib. I saw this in a book somewhere, maybe the Hypec manual? Anyway, the plan is to lift one end of the strip, and then roll it over a pencil. By rolling the strip of cloth off of the rib on a pencil it should lift off without damaging anything underneath. Alternately, the strip of cloth could be left, sanded smooth, and the new cloth glued over it. I'm expecting that I will get 15 to 20 years out of the cloth, so I'm not too concerned about the recover project for a while yet. I have done a few repairs, and it's super easy. Simply clean the top paint from the area where the patch is going with MEK and then glue the patch on with sunbarrier. Once dry, shrink the patch a bit, and put on a coat of sunbarrier to fill the weave, and then paint. Works great.